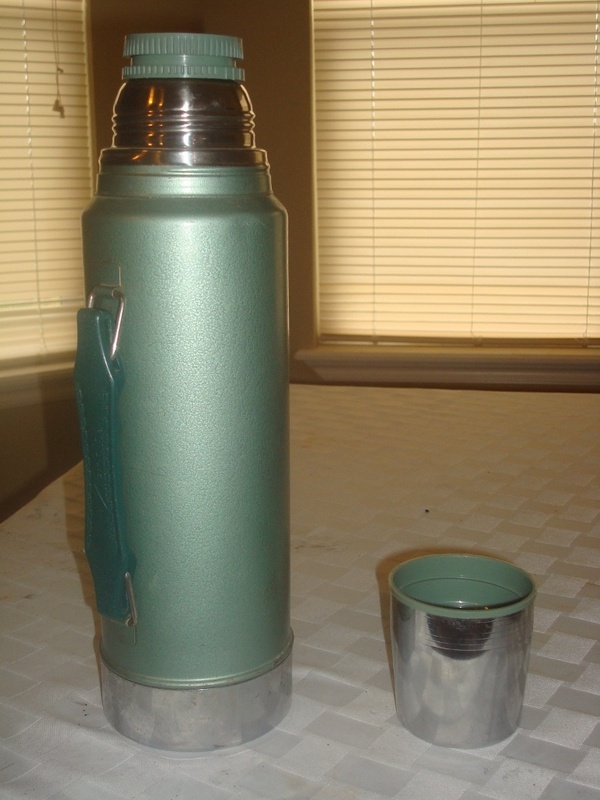 In Kitchen > Show & Tell and Sporting Goods > Show & Tell. I'm still using one just like it for fishing trips ! 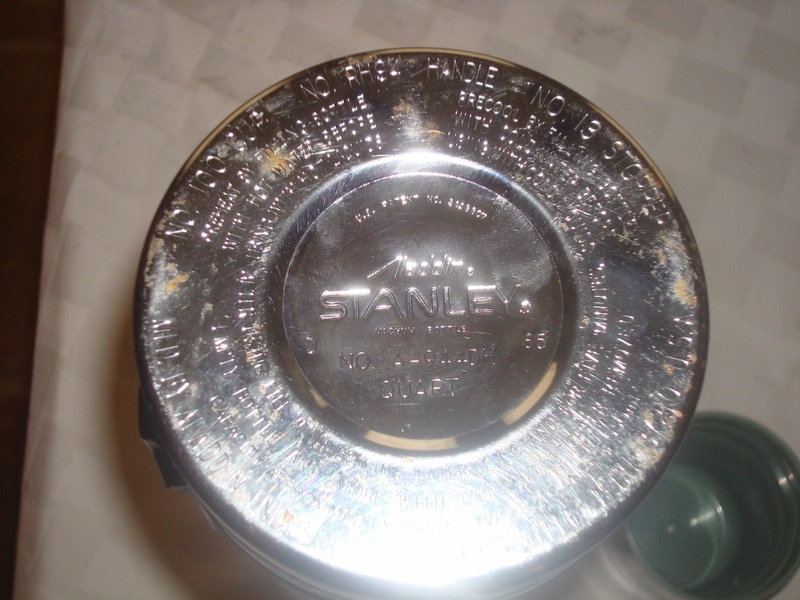 that's wonderful to hear, I still have my stanley made september 1958 brand new, never used with three never used corks and the stainless steel sandwich box it came with in mint shape in my closet, I have no idea what something like this would be worth today. 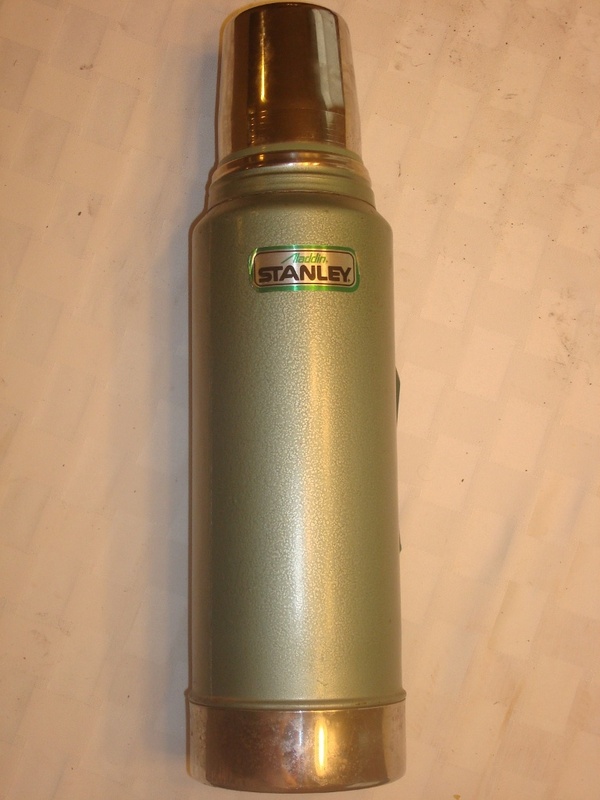 i have a very large Stanley "Super-Vac"...where the cup screws onto the body of the bottle there is what appears to be a "spigot"...the deacl on the side is upside down, and on the spigot is a long metal tube thet seems to be a vent to allow liquids to flow...it looks like it was meant to be mounted upside down in some sort of bracket...did Stanley make this ?...when ? Thank you for all the nice comments Timee, Jake, tom, and Pop_abides! And thank you collecting!